We will close at 4pm on 21st December and re-open at 7am on 3rd January 2019. We can take repairs for a same day service up to 3pm on the 21st and will be available for emergency repairs throughout the Christmas period. For dentists, there is an express service available the week before Christmas to ensure your patients have what they need. Wishing you all a very merry Christmas and a fun filled New Year. We may keep this information in written form and/or in digital form. telephone number so that we can contact you in line with providing you with our services. legally required to do so or in the interests of public or patient safety. We will not share this information with other third parties without your permission. We collect patient/customer banking information in order to collect payment or provide refunds in the process of providing our services. This information will be held confidentially and shared only with banking authorities for these purposes. Where necessary, we will share this with other authorities when required to by law. This information is stored in line with relevant data protection legislation and is held for the purposes of contractual obligations between Manchester Dental Lab and the patient/customer. This information will be held confidentially and shared only as and when required with those relevant for your treatment (for example, dental care professionals, other healthcare professions or our suppliers). We will also share the information when legally we are required to do so and in the interests of public or patient safety. This information will also be treated in line with data protection legislation. We hold this information for our own purposes in providing you with our services in so far as it is in our legitimate interests to do so. As health data is considered a special category under data protection legislation, legally we hold this for the purposes of providing medical, dental and health treatment. This information will be held for one year following a complete treatment at which point it will be confidentially destroyed. All registered health and dental care professionals have a professional and contractual duty of confidentiality. Data relating to suppliers and contractors such as names, addresses, telephone numbers and banking details will only be shared within the Manchester Dental Lab Team to help us work with you to provide services to our patients, customers and contractors. Our team includes our Clinical Dental Technician, Dental Technicians, drivers and administration staff. Should we wish to share supplier or contractor information with a third party, we will seek your permission to do so. All supplier information is kept securely using the Dental Appliance Manufacturers Audit Scheme (DAMAS) and updated regularly. Contractor information for dental practices is kept electronically using a database. As a patient/customer you have rights under data protection legislation regarding your data. If you would like to receive a copy of personal information Manchester Dental Lab holds about you, please submit a request in writing to MDL, 115 Manchester Road, Droylsden, M43 6EG. Information to improve our products and services. Periodical promotional emails about new products, special offers or other information which we think you may find interesting using the email address you have provided. We will hold this information confidentially at Manchester Dental Lab sharing it only with others considered necessary to provide you with our services or where legally we are required to do so and in the interests of public or patient safety. We will not share this information with other third parties without your permission. Cookies are used to identify which pages are being used on websites. This helps analyse data about web page traffic and improve a website in order to tailor it to customer needs. This information is used for statistical analysis purposes only. Our website may contain links to other websites of interest. Once you have used these links to leave our site, you should note that we do not have any control over that other website. We cannot be responsible for the protection and privacy of any information you provide whilst visiting other websites and these are not governed by this privacy statement. You should exercise caution and look at the privacy statement applicable to the website in question. Whenever you are asked to fill in a form on our website, please indicate that you do not want the information to be used by anybody for direct marketing purposes. If you believe that any information we may hold about you that you have submitted via our website is incorrect or incomplete, please write to or email us as soon as possible and we will promptly correct this. We will close for Christmas at 4pm on Friday 22nd December 2017 & will re-open at 7am on Wednesday 3rd January 2018. If you have an emergency during the Christmas break, please call our main number 0161 371 9575 and your call will be diverted to our out of hours. We will be able to provide an emergency service in some situations during the festive period. We are closed on Good Friday & Easter Monday. If you have an emergency please call 07984 747 285 as we may still be able to help. February 2017 and 21st February 2017. It is our Valentine's gift to you! Drop us an email if you would like to see our price list. We will close at 4pm on Friday 23rd December 2016 and will re-open at 7am on Tuesday 3rd January 2017. If you have an emergency during the Christmas break, please call our main number 0161 371 9575 and your call will be diverted to our out of hours. We are able to provide an emergency service in some situations. Some patients say that wearing a denture means they can't taste their food as well, some experience a gag reflex with a full palate & others simply find a full palate denture uncomfortable or 'alien' in the mouth. 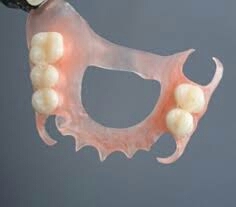 There is a solution, a flexible Valplast denture with an open or 'cut out' palate. A flexible denture is close fitting & can have the palate opened up to expose the roof of the mouth making for better taste, no gag & a much more comfortable denture. 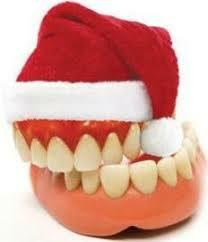 Give us a call if you'd like a free consultation to discuss whether this type of denture is a suitable option for you. Cobalt Chrome dentures have a metal framework that sits on or around natural teeth. Denture teeth are then attached to this using acrylic. 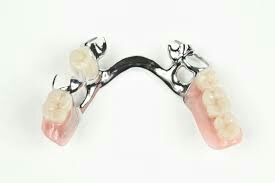 Chrome dentures are strong but light, making them very comfortable to wear. They are close fitting and precise and can easily have clasps attached (including tooth coloured clasps) for an even better fit. Patients with chrome dentures say they have more confidence wearing this type of denture and that they are able to taste food much better than with a standard acrylic denture. Call us to arrange a consultation for a chrome denture. You won't regret it.